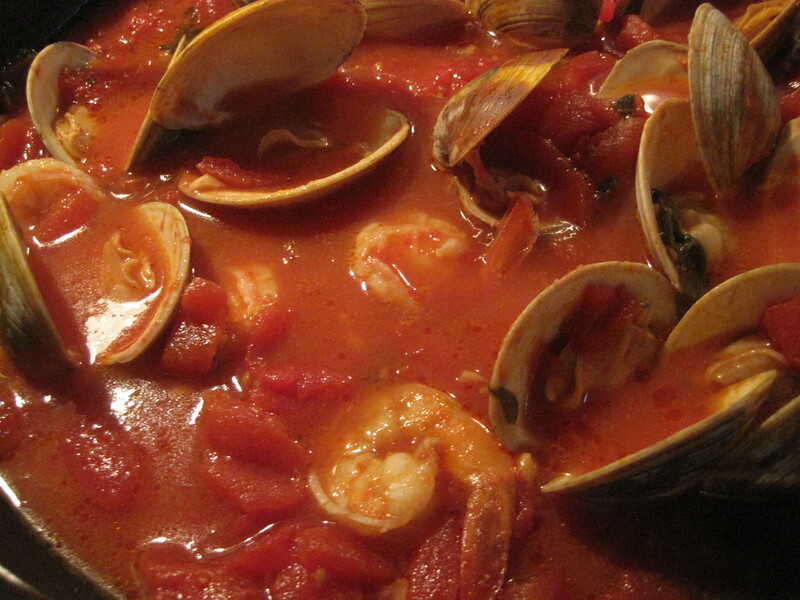 If your craving seafood this kicked up spicy tomato sauce is the perfect pairing with some fresh little neck clams and jumbo shrimp. Throw over pasta or drench up the sauce with big pieces of ciabatta bread. It’s hearty, filling and oh so good! *Makes a serving for four. – Place pieces back into the sauce in can. – Let simmer for a minute or so while spinning and then add in the can of sauce and cut up tomatoes. – Sprinkle Salt, Black Pepper, and Garlic Powder along with a generous sprinkle of Pepper Flakes. *The heat from the garlic and pepper flakes is what will infuse this sauce with spicy flavor. – Cover pot and place on low heat – Simmer for a good 30 minutes or even longer. 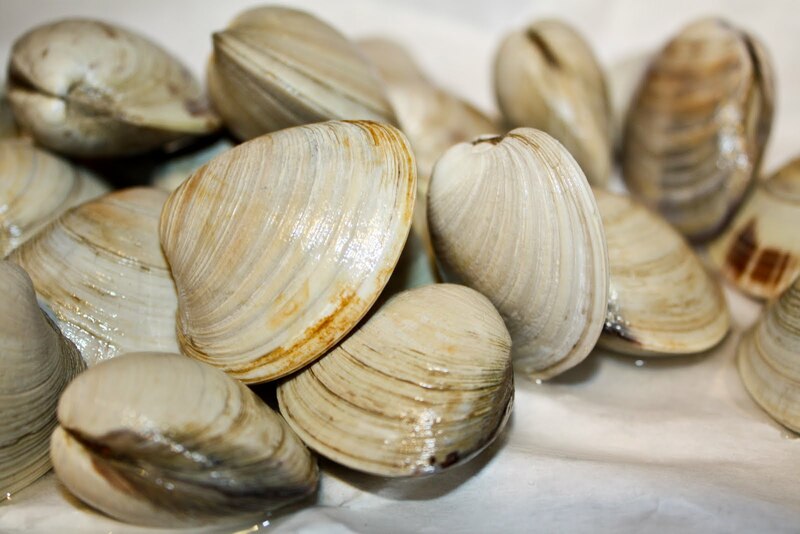 *Make sure the clams are rinsed and you go through your bunch to throw out any cracked or damaged ones. *Keep the tails on your shrimp but be sure they are deveined and clean of any skin on the body. The seafood place should have done this for you already when you asked for cleaned jumbo shrimp. But it’s good the check them. – The only direction you need here is do not throw the seafood into the sauce to cook until you’re almost ready to sit down to eat – the clams open up quickly and the shrimp shouldn’t take more than 5 or so minutes to cook. *Be sure when the fish is cooking in the sauce you turn them so they all get coated and bathed in the hot simmering liquid. – Complete this as a whole meal by serving over linguine or with a loaf of Ciabatta bread. *Note you can always add other seafood too – such as calamari, muscles or scallops . *I did some research as to what wines go best with a spicy sauce like this and I found recommendations on two wines which I’ve actually had before and liked very much. The first is a Crianza by Campo Viejo and the second was a Shiraz by Yellow Tail wines – both should be no more than $15 bucks a pop!